Thunderstorms have been developing rapidly the last 20 minutes or so and are expected to continue to intensify. 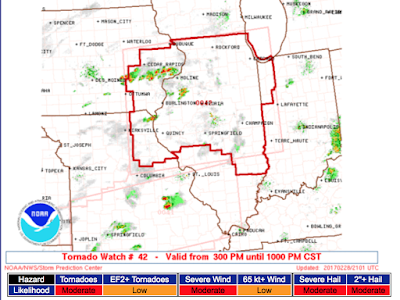 This tornado watch includes Chicago and Peoria. This tornado watch is in effect until 10pm.